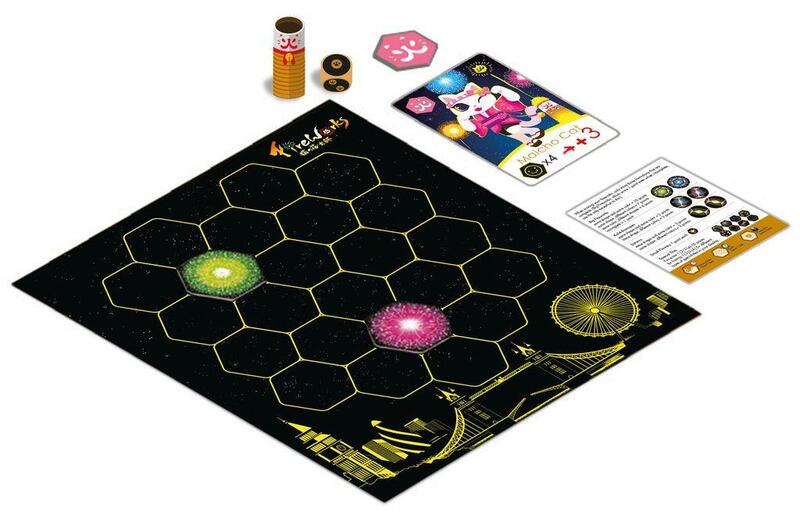 Every turn, players use the Fireworks Barrel to launch the Fireworks Die into the Starry Sky Box. 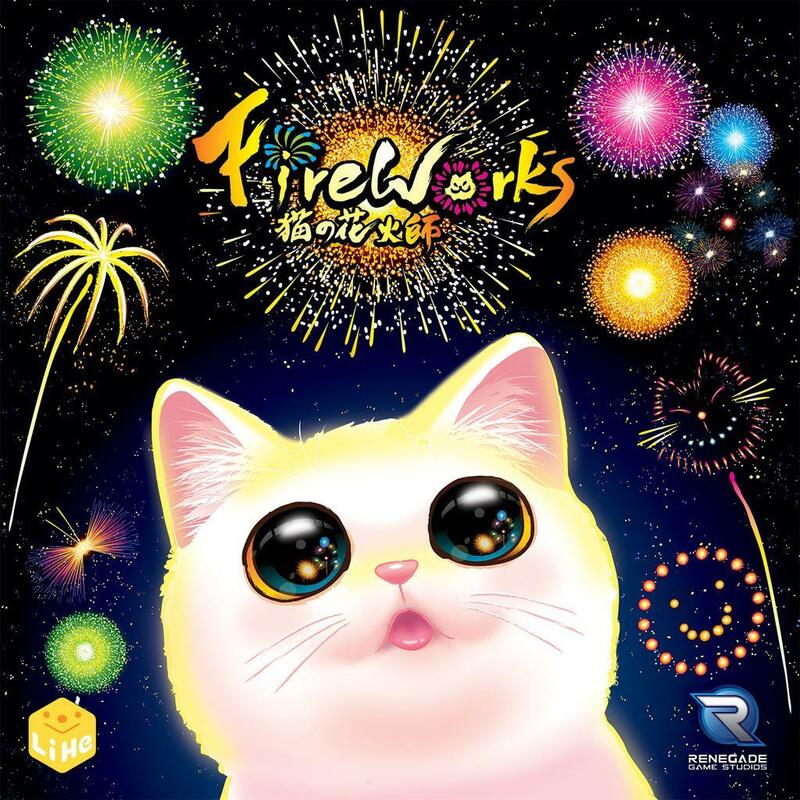 If the knocked Fireworks Tiles land face up, the player takes a number of them according to the die, placing them on their Player Board to score points. Whoever scores the most points wins.